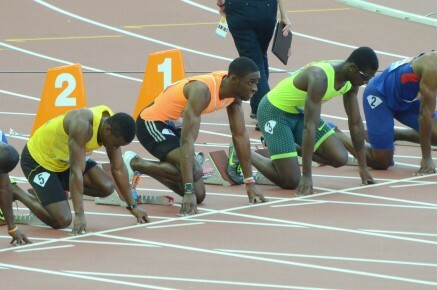 21st March 2015 – Early season track races in Jamaica, USA, Australia and Kenya produced some good performances as the PACE track group warms up for the 2015 season. At the UWI Invitational at the Usain Bolt track in Kingston there were 200m wins for Schillonie Calvert (JAM) (23.20) and Kemar Bailey-Cole (JAM) (20.86) and a 400m win for Rosemarie Whyte-Robinson (JAM) (52.78) with training partner Ristananna Tracey (JAM) 3rd. After missing the indoor season due to a calf injury Laura Roesler (USA) returned to the track with a winning 2:03 clocking for 800m at the UTSA Texas Challenge. In Melbourne Magdalyne Masai (KEN) took 10 seconds off her 3000mSC personal best running 9:38.17 for 2nd at they IAAF World Challenge meeting. The world No.4 in the indoor season Jeremiah Mutai (KEN) interrupted his end of indoor season break to clock 1:45.3 for 800m in Nairobi and qualify for the Kenyan team for the IAAF World Relays in the Bahamas. PACE newcomer Selah Busienei (KEN) placed 2nd in the 1500m and may have done enough to get onto the DMR squad for the Bahamas.